Please recite sur-e-fatiah for Ustad. 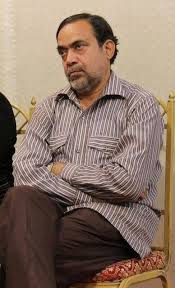 Poet and former principal of Liaquatabad College in Karachi, Pakistan Professor (Ustad) Sibte Jafar was shot dead in Karachi on Monday. Apart from his educational duties, Professor Jafar was well known for his sozkhwani and marsia recitals. He was also known for his poetry in traditional Shia gatherings. It is thought that his martyrdom follows an array of different assassinations targeting the Shia community in Pakistan. The Shia Ulema council has announced three days of mourning and demanded that the killers be arrested immediately.